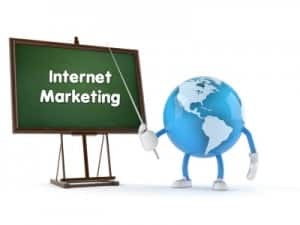 So here at Planet Marketing we make a lot of money for our clients. We decided why not just start our own eCommerce site and start selling. The site will serve two purposes: 1) a model we can showcase to new prospective clients 2) additional income to provide diversification in case we lose a client. Since we have built out this site, Laser Toner USA, we will be completely transparent with our marketing plan. You can even follow us to see if we are doing well or not. 1) Blogging for the right people – Blog for office managers, small business owners, office people on how to reduce office costs, office drama, or even our own customers. We don’t want to make a blog to sell our product. We want a fun blog where an office manager can look forward to getting a laugh. They will know that this is a toner cartridge website. We don’t need to be pitching “Buy my stuff, Buy my stuff, Buy my stuff” all the time. 2) Link Building – This is for organic rankings and referral traffic. We will be conducting outreach for guest blog posting in relevant industries. This means our blog posts will go on someone else’s website with a link pointing back to Laser Toner USA. We shall be using Buzzstream’s software for emailing prospective websites. Since link building is something we already do for our clients, this is going to be easy to implement, yet tedious as always. 3) Google Map Scraper – We will be conducting out reach to nearby businesses by scraping Google Maps for businesses and emails. We are not interested in emailing everyone across the web because it seems too spammy to us. We really do want to build relationships between LTUSA and surrounding companies. 4) Paid Search – Adwords, BingAds (Bing/Yahoo), retargeting. We have been using these types of paid search for our clients for many years. The great thing is we can tie it to Google Analytics to see what is already working and push it even more. Here is an image of our client’s Google Analytics. If we do that with LTUSA, we are going to be millionaires! We use a lot of Google Analytics to tell us how to market our client’s website. Now time to market our own eCommerce site LTUSA. 5) Shopping Comparison Engines (SCE) – Ebay, Amazon, Google Shopping, Nextag, & more. Since we will have a data feed for all our products, we will submit them into the shopping comparison engines to expand our market reach. There are many feed services like SingleFeed and GoDataFeed. So while we will probably take that approach, an alternative (depending on the funds) is to have our friends at CPC Strategy manage our data feeds and have an assigned data feed account executive. 6) Followerwonk – In addition to conducting outreach via email using Buzzstream, we will conduct outreach using Followerwonk. This tool is owned by Moz and is part of our subscription. We will be looking for office managers, accountants, buyers, and any professionals on Twitter. This tactic is more for long term acquisition. We look at it more as developing relationships than outreach because we will probably make friends before we do business. 7) San Diego Chamber of Commerce – There’s nothing wrong with good ol’ networking and doing it in person. Not everything is about rankings on Google/Yahoo/Bing. We want to become less dependent on search engines and develop friends. We don’t necessarily need to sell to these people, but they will probably become a source of referrals overtime. This will also get us out from behind the computer. 8) Outside Sales Rep – Once money permits, we will hire an outside sales rep on 100% commission. I (Francisco) think the best thing to do is pay for their gas and offer a residual income for the clients the bring in. Maybe I’ll offer a small base pay to carry them forward and when it makes financial sense, change the comp plan to 100% commission. hiring an outside sales rep is something that won’t happen right now though. Maybe we will do this sometime at the end of 2014. 9 & 10 ) Google Trusted Stores + Shopper Approved – This will provide more credibility for any new prospective customers who are comparing us to other companies. 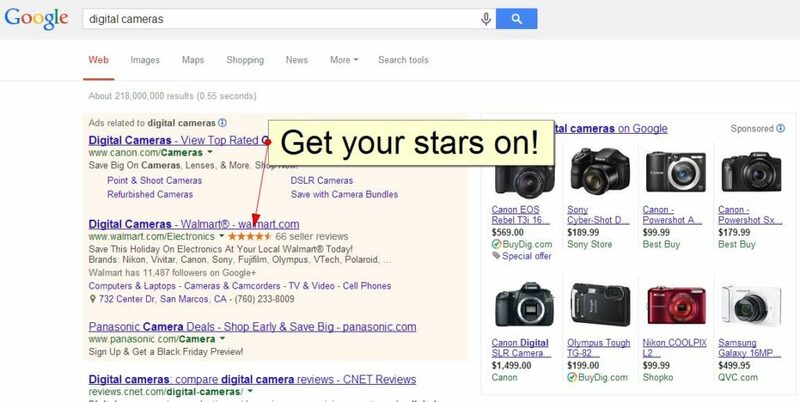 We will use Shopper Approved to get star ratings on Google. We have achieved stars on our clients Adwords ads as shown below so this process is not new. So that’s going to be the main things we will be pushing. If you notice, we aren’t going to push very much on social. Although we believe social is good, in our experience money is better allocated to Google Adwords, BingAds, and Comparison Shopping Engines. Facebook, Twitter, and Google Plus right now is a good area to engage people or get some brand recognition. Don’t get us wrong! We think Facebook can be great especially for small locale businesses like a pizza shop or local independent cafe. Social is AWESOME for that. But our target market is going to be more on an international level for LTUSA. So for now, we will use social just to share, but not as a marketing channel. Other things we may consider is joining the BBB, but that falls under credibility and the $500+ would probably be better used somewhere else. So if you want to keep track of our progress on how we are marketing our new Laser Toner USA site, sign up for our email “Get Posts by Email” via Feedburner in the top right hand side (in the right sidebar). There will be many posts on us marketing LTUSA. We will probably start marketing after the New Year in 2014. If you have any comments, suggestions, thoughts, advice, please share below!